The Fox Lake watershed is approximately 35,600 acres in size, draining areas of Dodge, Fond du Lac, Green Lake, and Columbia Counties. The watershed is comprised of rolling hills and plains interspersed with wetlands. 70% of the watershed is in agricultural land use. The geology of the area consists of bedrock of sandstone and dolomite formations overlain by glacial deposits of clay silt, sand, and gravel. The major soil types are silty loams on the uplands and muck soils adjacent to stream courses and along the march areas of Fox Lake. Click here to learn more about manure spreading. The FLILPARD's Drew Creek Report is currently our most major watershed and lake quality initiative. 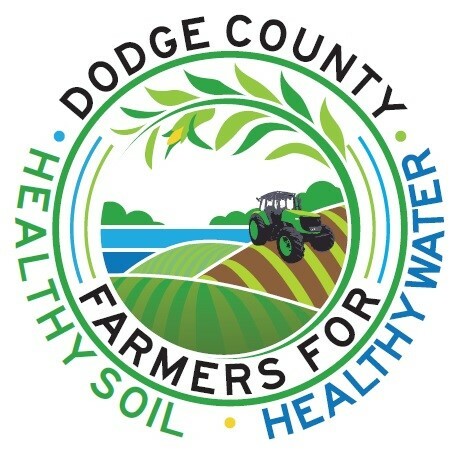 Our Fox Lake watershed's primary contact is the Dodge County's Land and Water Conservation. and sustain our soil and water resources. Last year, the Land and Water Conservation organized the Healthy Soil, Healthy Water workshop that featured well-known Certified Professional Soil Scientist, Ray Archuleta. Ray has over 30 years experience as a Soil Conservationist, Water Quality Specialist, and Conservation Agronomist with the Natural Resources Conservation Service (NRCS).